Pot au Feu Bistro hosts an invitation only Jazz and Opera Dinner series. Send to events@potaufeuri.com to receive invitations. A favorite of Julia Child - Pot au Feu Bistro is so much more than a restaurant... 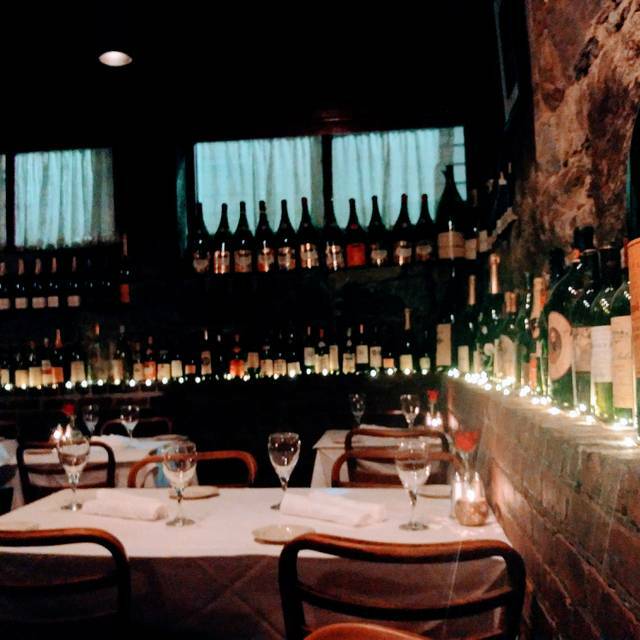 Established in 1972, our cozy Bistro is the oldest French Bistro in America. Pot au Feu Bistro kicked off the Providence Restaurant Renaissance being the first to offer something other than “steak, spaghetti and chow mien”. Located in the Historic Downtown we are just minutes from all the hotels and convention center. Had a wonderful birthday celebration here. My daughters - who both studied in France - surprised me with the ceremonial Champagne Sabering to start. We were all charmed by the proprietor Bob Burke who performed the Sabering after giving us a nice history of the origins of champagne and of the tradition. We had an absolutely lovely and delicious classic French meal and intend to return many times! 1st time here, Very nice place! food was great, wine selection was good and fairly priced compared to other restaurants. Appetizers, entrée, wine, desert under $100 per person excellent value. Atmosphere was very nice also. As a repeat customer, we were disappointed with our last visit. While we generally enjoy the French style of a casual, lengthy dinner, on this occasion our server seemed absent and inattentive. She was very nice and gracious when at the table, but we went overly long stretches without her - 15 mins between serving drinks and taking our order, not checking in during our meal (when we would have ordered another bottle of wine), 10 minutes between someone delivering dessert menus and her taking the order (perhaps that was okay if we could have ordered more wine). It was not a busy evening so we’re not sure why the service was below average, but coupled with a lackluster dinner, we left unsatisfied. Authentic French cuisine is a treat, and we don’t want to turn customers away. We just hope if we do go back, we’ll have a better experience. We love this spot. The food is the best. The environment is charming and comfortable. Bob Burke is the perfect host! I don't care what other restaurants are in Providence...this is my spot! My French is terrible and I cannot spell the names of the dishes or I'd list here what we had this last time. That said, we've not had anything less than the perfect meal and perfect experience at Pot au Feu Bistro. Excellent as always! Love the calm atmosphere early in the week. Food was greta and the atmosphere was warm and inviting on a cold March evening. Everything was top notch. Perfect night. Loved it especially the mushroom pate and having vegetarian food. Love this place. Delicious food prepared perfectly. The Cassoulet was exceptionally well constructed, creamy beans with succulent duck. The service provider made us feel welcome and comfortable, helping us select wines to accompany our meal and taking the time to educate us on the different dishes. We look forward to our next visit. So yesterday, on a cold, nasty, snowy night, I discovered this wonderful little gem of a French restaurant. So nice to slip in out of the cold night and be greeted by this warm, cozy sanctuary. But it would turn out to be far more than a refuge from the night. The food was perfectly prepared and delicious. The service was top notch. The ambiance was elegant and relaxed. After dinner, the owner introduced himself to us – a genteel, affable and gracious fellow. 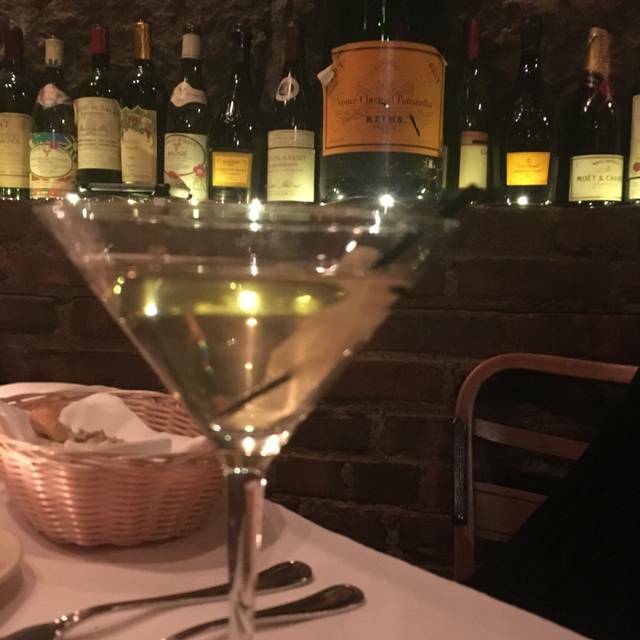 The whole experience – the food – the ambiance – the delicious bottle of Gevrey Chambertin – for a moment there, I thought we had been transported to the Left Bank (but alas, Gertrude Stein never showed up). Seriously, if you want a wonderful meal at a charming restaurant – Pot au Feu will not disappoint. Best dinner in Providence!!!!! Consistently fantastic!!!!! My husband and I have been going to Pot au Feu for many years. We at least go near Valentines Day. It seemed as if management was not present throughout the entire night. The waitress had too many tables and was not able to take any of our orders in a timely fashion. After waiting about 20 minutes, we had to "flag her down" in order to place our orders- we didn't even get to order drinks yet! The food was good, ambiance was excellent, but the service/management was very poor. My wife and I had a wonderful time here. The food was delicious and the wine was exquisite. We could not have wished for better service. All in all, a very enjoyable introduction to the Providence dining scene. We shall be back. I'd not been to Pot au Feu in more than a decade, and I was so happy to see that they are still there. This is the best place for French cooking in the state. When you walk in and see that picture of Julia Child on the wall in the entryway and you smell the beautiful cooking rushing at you, you know these folks are walking the talk. I am a diabetic, and I was able to have the coq au vin with piles of vegetables and sweet potato. Everything was cooked to perfection. Coming from French ancestry, we often had foods like this served at table on a Sunday, and this meal was so good, so reminiscent of those times as a boy when my pepére used to teach me how to cook...it brought tears to my eyes (remember that scene in "Ratatouille"?). My wife had the steak aux pommes frites, and we accompanied our meals with Côtes du Rhône. Absolutely fantastic. The wait staff were friendly and helpful with my health condition, and were responsive and fun to be with. It was a cold February night, and the brick in the basement is a little colder than my wife would have liked, but I was comfortable. All in all, a wonderful dining experience. Just a wonderful experience. We appreciated the great food and service! Tremendous service, engaging host and wonderful food. One of the top restaurants in Providence without a doubt. Dining area is on the small side. Overall the food was good but heavily salted. Slower-paced dining experience. Expect to wait for your food. They offer a few daily specials on top of their menu. Always a wonderful night. Bartender (didn't catch her her name) was outstanding and very talented. Food was perfect and we are glad we waited a day to celebrate Valentine's Day. Many thanks! Nice Valentines day location, it was a little packed in in the basement but other than that we had a wonderful experience. Staff was nice and engaging, and very very professional. We enjoyed that we could see the Chef hard at work behind the line, and the food was just fantastic. We will be returning soon. Was skeptical at first because made reservation on same day on Valentine’s Day and they had availability during prime time. We were pleasantly surprised with the ambiance, very cozy, not fancy, just right. The chef screams “French” with the mustache and the great Chef hat and then the star of the night...the food was heavenly. This will be on our short list in the future, I’d encourage you to make here for a special occasion, you will not very happy with your decision! Was absolutely a devine eating experience! Service was exceptional and the atmosphere was chill! Alice in wonderland type feel as weird as that sounds! I highly recommend this venue! Top of the line cuisine in a cozy atmosphere... would recommend for a romantic night. Everything was generally excellent. My only disappointment was in the mushroom soup. It was served luke warm and had a bland taste. I had to add salt and pepper for it to register on my palate. But the rest of the meal was superior. Our server was very good. Ambiance excellent. My wife and I will definitely come back. Love the place; great food; charming atmosphere. Service good (waitress was very busy). Tried for the first time during Providence Restaurant week. My wife and I were very happy with the choice. Our appetizers, main courses, and desserts were all excellent. The service staff was very friendly and sociable which made for a nice night out. The venue is on the smaller size and we liked the environment but it seemed like there was too many tables squeezed in to accommodate the restaurant week crowd. We are interested in going back another night to see if table spacing is always that tight. I felt bad for the servers as they had next to no room to navigate through the tables (I was bumped a couple times while eating) but were very polite and apologetic and it wasn't their fault. They don't have a cocktail menu so come prepared knowing what you want. We sat at the bar since we arrived to our reservations early and the bartender was not very creative nor helpful with a martini recommendation. Luckily the owner (or at least who we thought was the owner) got behind the bar and started making some great looking cocktails so we were able to get some of those ordered up to have with dinner once we were seated. We also found it intriguing to be able to see the chef plating meals from our table and very impressed with his efficiency while maintaining quality as he was definitely working his tail off. Traditional French cooking - arguably the best French restaurant outside of Paris ! Superb. Felt like I was in a small Paris Bistro! Food was excellent but service was lacking. We made a reservation and were seated 30 minutes past the reservation time. Service was slow as well. 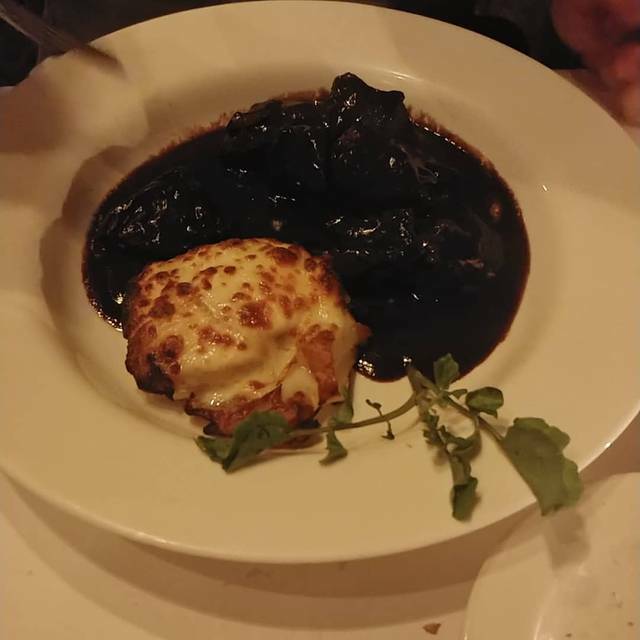 Boeuf Bourguignon was excellent and I would highly recommend that entree. I would go back but maybe not for Providence Restaurant week. Came highly recommended and the food did not disappoint. Every single dish was outstanding. The wife and I recently took a trip to France and it was like we were transported back for a few hours. The Friday night service left something to be desired but it was busy and I'd like to give them the benefit of the doubt. Will be back for round 2 in the near future I am sure. If Friday night was the first time visiting Pot Au Feu; I probably would hesitate to go back. The food was excellent; but the service, although pleasant and very friendly was lacking. It took over 20 minutes for our drink order, the server said she was going to send over some fresh baked bread...but it never arrived and it took about 30 minutes for her to take our order. When she followed up during our appetizers--she noticed there wasn't bread delivered, she said it would be right over...I actually asked for some with my meal (there is a delicious sauce with the Beauf, that I would have loved to dip the bread into...but again, no bread) and by this time we also sat there without drinks for about 20 minutes? We didn't bother ordering coffees with dessert because we figured we wouldn't get them. I don't necessarily believe it was the server's fault...but she was the face of our service that night. The restaurant was busy and I overheard the bartender say it was her first night--so I'm thinking this was an "off" night. The food was incredible! The dinner was pretty good and the dessert was fantastic. The food was AMAZING! However, the service was pretty terrible. As a former server, I get that our waiter was over seated and stressed out. We were very patient, and he was nice enough. But the restaurant was unprepared for a busy night. We had a reservation, and were ignored upon arrival by both servers and manager (?) for several minutes. Once we were seated, we waited 10 minutes to be greeted, watching other tables seated after us getting their drinks. I was made to feel guilty for ordering from the Restaurant Week menu, after the owner/manager went on and on about how much he hates Restaurant week - okay, so why participate?? After having to ask for my soup, ask for more wine, and just a long night of listening to tables around us complaining about the service, we left feeling satisfied, but shocked. I can’t say enough about how delicious the mushroom soup, onion soup, beef bourguignon, and dessert sampler were. But wow do they need to work on staffing busy nights. I’d go back, but certainly not during Restaurant Week! Highly recommended ! The owner Bob, greeted us at the door , seated us, and made us feel like long lost friends! I left my entire meal to his discretion , and he did not disappoint ! Old school at its finest ! Excellent restaurant with authentic, but creative French cuisine...wonderful staff...very helpful...and the food is first rate. Highly recommended as a good special occasion destination. A classic in every respect...the ambiance alone sort of encourages to trot out your high school French. A must in PVD.